I Love You But, Achoo! You wouldn’t disown a family member over allergies, but many families forego their puppy parenting dreams to keep the family allergy free. Not all dog breeds trigger watery eyes and sneezes, however: Some shed less, have less dander or don’t have any fur at all! 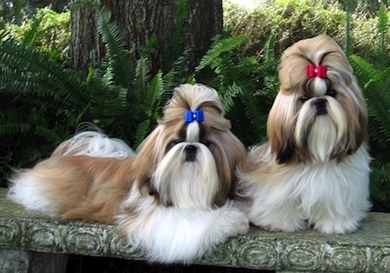 We found the top 10 best -- and cutest -- dog breeds for a family with an allergy problem. Don't let the puffy coat fool you. These little marshmallows are jolly, easy to train and don't shed. As long as you brush their curly tresses, they won't shower dander and dust. 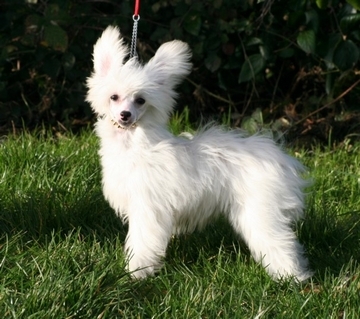 This breed is great for a family wanting a small, cheerful dog as an easygoing companion. These shed-less pups are great for the owner who loves to be the center of attention -- or the kid who loves playing "Follow the Leader." 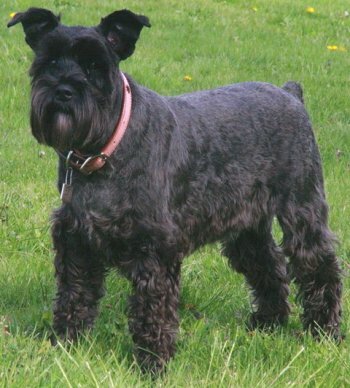 The schnauzer loves his owners so much that he won't let them out of his sight, so expect to have a buddy by your side at all times. He does need a firm hand, though, to balance his stubborn, energetic and protective temper. Schnauzers come in three sizes: Standard, giant and miniature. Don't have a big yard? Then a Yorkie is perfect for you! They are content playing and cuddling with you indoors. This pup doesn't shed and or have a lot of dander. She does require heavy grooming, however, so keep the brush in hand when she paws at your lap. 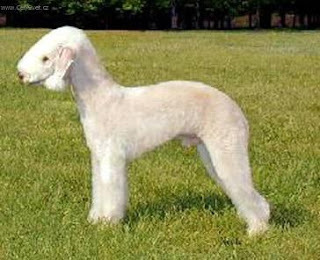 Although at first glance, he looks more like a lamb than a dog, the Bedlington terrier could be the perfect canine addition to a laid-back family. These do not shed and are very mild-mannered. 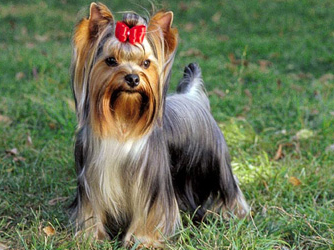 Despite those long, silky locks, this breed sheds very lightly. Although they need a lot of grooming, they are affectionate, kind and easygoing. But be wary: Shih tzus tend to become jealous of babies and toddlers, so protect your other little loved ones from their insecurity. Like the schnauzer, the poodle comes in three sizes: Standard, miniature and toy. They do not shed, but they do require a lot of grooming and care. They're easy to train, but can get a little yappy. 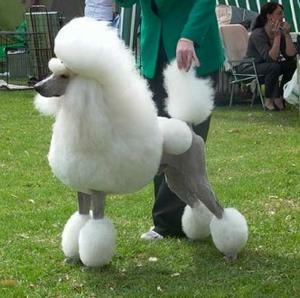 Poodles too prissy for your liking? Try a labradoodle. 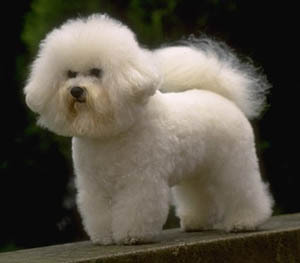 They have the hypoallergenic coat of a poodle but on a Labrador's body. Perfecto! This little Italian has a thin coat, so he barely sheds, and it's easy to keep him clean of allergens. 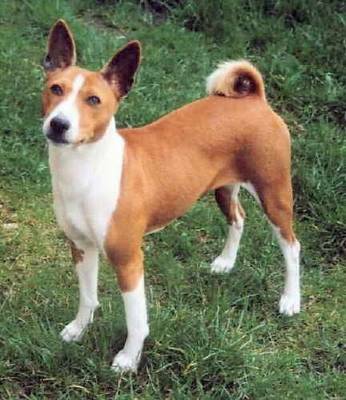 The breed is very playful and loyal, and does not need a big yard. They're extremely sensitive to cold, though, so this isn't a good breed for a family living in a chilly climate. No, not Benji from the movies, but even better. These pups don't shed or bark, they have very little dander and they're darling, so they're a great choice. 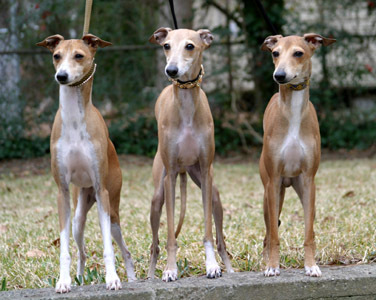 They do sometimes make an odd yodelling noise, and they can be hard to train, like most hounds). But this stubborn demeanor comes packed with a lot of lovable personality. The most efficient way to avoid dog-induced allergies is to get a dog without any, or with very little, hair. You can't go wrong with the Chinese crested; they barely shed at all. They do produce dander and can be a little clingy, but they're very good with children. 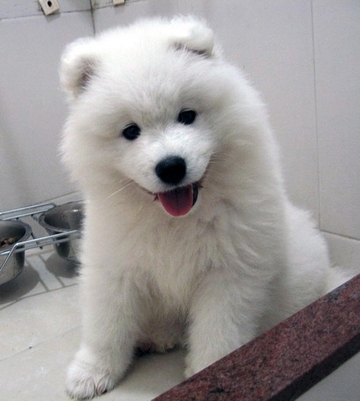 The Samoyed is a sneezing owner's dream come true. This breed does shed, but you'll find no doggie odor or dander, making these dogs the perfect option for people with allergies. They're known for being laid back, gentle and "smiley," so they're great around kids. Allergies are different for everyone, so do your research.